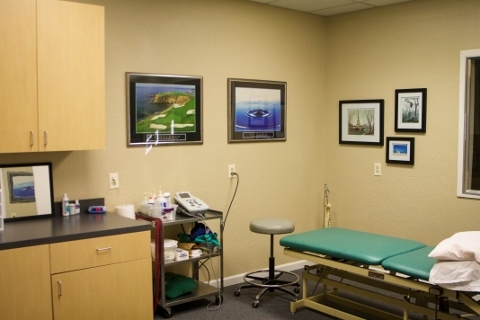 We have over 20 years combined experience evaluating and treating a wide variety diagnoses. All services are private pay. You may be eligible for reimbursement from your insurance company. Please verify with your insurance carrier. Orthopedics: joint replacements, sports injuries, back and neck injuries. Senior Care: fall prevention, strengthening and balance training. Golf Specific: LeeAnne Craft, PT has completed the Back to Golf program and has extensive experience working the unique challenges facing golfers. Kinesiotaping: as used by Olympians around the world. This colorful, seemingly simple taping method is actually a very exact and effective method of reducing pain, inflammation, correcting imbalances and promoting healing. LeeAnne Craft, PT is a certified Kenisiotaping practitioner and is in the process of becoming a Kenisiotaping Instructor. She is available to evaluate, apply and teach you to apply to the Kenisiotape to yourself. CrossFit San Leandro members receive a 20% discount.